I wouldn't worry to much about the Roster. I see MK 9 as refresh of the story, or even relate it to MK 4. MKX seems to be like Deadly Alliance. 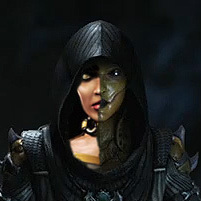 MK 11 is looking to follow the similar path, and be the new Deception. I think the mix of MK 11's roster is great and seems to be balanced with new, classic and returning characters (3D, MKX). As for characters returning or sitting out this time around, I really don't mind it. Mileena is one of my top 5 characters, and I see no evidence so far of her being in the game. I'm more interested on how the story unfolds and if that means she has to sit out this time around, I'm cool with that. I want characters that are playable to have a purpose. As for DLC, i can see them having characters that where in the story, but didn't make the final roster cut, like MKX. I believe once this trilogy (9,X,11) is over, more of the fan favorites once again will make a return... but not in the style Armageddon. Question is, would you want characters to be in the game without really a story and just to have them in it, or would you want them to wait until their time comes, properly? I think the more games go by, the more we see the dev team find reasons to keep a substantial portion of what they deem to be the core of the series; the MK1 and 2 cast. Sure, some names come and go from one title to the next and they do have their favoritesfrom MK3 and beyond, but if they’re telling a story, they’re using a substantial part of the core, even when some of them have virtually nothing to do with it. To me, they’re still kinda stuck in this mindset where they think people only want them to play the hits, and judging by the reaction to D’vorah, I can’t say I blame them for having that impression. I think they’re aware of the loud minority that want 3D era characters, a more balanced roster and perhaps a break from certain characters that feel like they’re in every game no matter what, but they’re more aware of the larger vocal majority and the massive silent majority that want their favorite core characters. So they write what they can and do what they can to please as many as possible and for the smallest group, we’ll, they throw us a bone when they can. Personally, I’d love it if some core characters got left out for a game or were just DLC totally unrelated to the story. Tanya and Bo Rai Cho should’ve been main roster in MKX. They were in the story and had decent roles. Kung Lao and Kitana? Not so much. To me, they would’ve been good DLC. I’d love to see them create a story and have characters they want to use, but I do get why some make it in to each game. I just wish they’d find it in themselves to give a bit more love to the characters they created that they now practically disavow, because I think a lot of fans will like them and embrace them even if they miss one game with Jax or Sonya or whoever. It’s not like they wouldn’t be back next game anyways, and who knows, maybe players find someone they like even more in a revamped Fujin, Sareena, Reiko, Havik, Li Mei, Mavado, Kai, Kira etc? Assuming they fit the story and NRS wants to use them. Or they just go from their main to their sub, who will almost assuredly be in the game. I’m NOT just saying this as a 3D era advocate, I’m saying it as someone that doesn’t want to see them be quite so restricted by roughly 20% of the games they’ve created when they’ve done some great things, come up with some great ideas, and generated some compelling character concepts in the other 80%. I just wish Netherrealm would stop introducing around 7-8 new characters a game only to drop all but a handful by the next game or two. It's quite frustrating. why can't more people be like you? Truthfully MK12 could just be Scorpion, Sub-Zero, and 20 or so new characters, and I'd probably still buy it. But that's just me. Doubt Netherrealm would be that ballsy though. Thank you! Regardless of the outcome, we all know we will play the game regardless! I think we are going to get a lot of surprises. For them to tease the game in December with an April release... who knows what else they are hiding. That alone was a short time. I like the 3D era rosters as well. Deadly Alliance was a nice mix up, and when Deception was released, only 6 returned from DA... 3 classics and 3 introduced from DA. It was a chance they took, and a smart one at that. MK 11 is taking the same risk, however, I think we will get more surprises along the way. 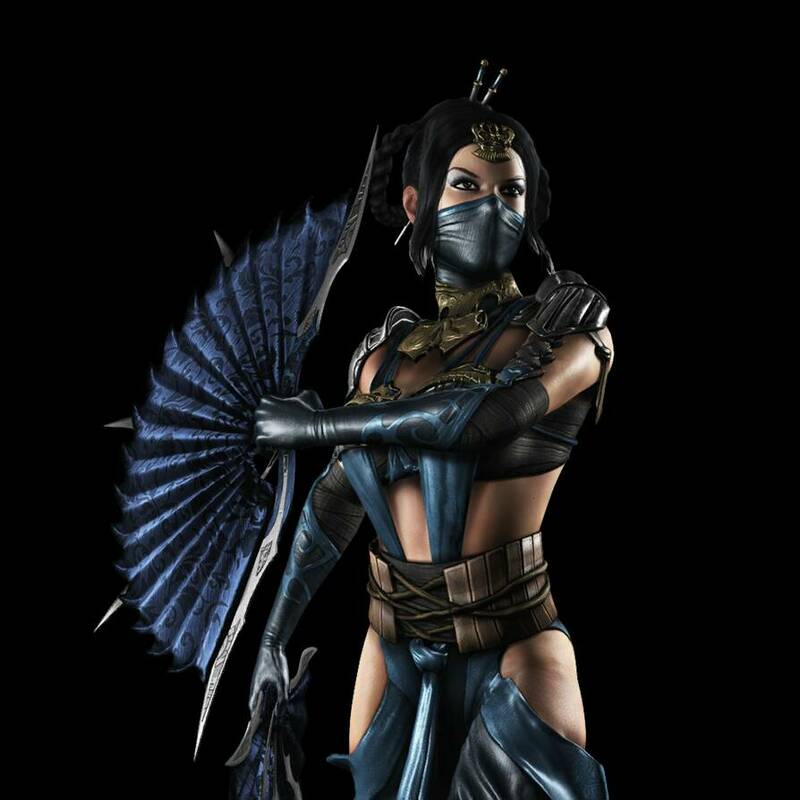 Scorpion, Kitana, and Cage are my top 3 so you can imagine how "thrilled" I was when MK3 came out. I mained Cyrax who was Scorpion's obvious replacement but it just wasn't the same. At the time people were spreading false rumors that Cyrax would probably be revealed to be a cyborg-Scorpion but thankfully UMK3 and later Trilogy were released to correct unpopular mistakes made with the base MK3 roster. Scorpion hasn't been left out since. Buffing the hell out of Takeda is really their only hope of finding a suitable replacement but how do you replace the awesomeness and pure metal factor of a flaming skeleton ninja hellspawn? You just can't. Ask Cyrax. He failed at that already. I wonder how different MK3 would have been if not for the Daniel Pesina incident. The thing is, though, until MKX Deception was the fastest selling MK game of the series, and was praised for its roster. Deception's success should've been a note that fans actually do like characters other than those from MK1&2. Hell, they knew Tanya's value and stated she almost made it into MK9. They still keep Kenshi and Bo' Rai Cho around, and Shinnok was the boss of MKX. Reiko was a prime figure in the MKX comic. They often allude to Havik, as well as Daegon, and Frost is now returning. That's eight characters righy there. Clearly, 3D era characters aren't that bad. I wish they would actually utilize what they have instead of trying to make things as though it never happened. They always made GOOD pop culture references, Justin Bieber and Miley Cyrus aren't GOOD, they are horrid. My guess is Cyrax and Sektor would've been replaced with Scorpion and Reptile, and maybe they wouldn't have killed off Johnny Cage. Idunno, they dropped the female ninjas as well as the males in that game, and it wouldn't have been too hard to replace an actor for a masked character. Sub-Zero was in, unmasked. So my guess is they were going for a refresh and didn't quite understand just how iconic to the franchise Scorpion and the whole ninja motif actually was. A haircut is not a pop culture reference. EDIT: Alright alright, I started thinking after I posted this, "Kate Gosselin, Jennifer Aniston, Kid & Play... Dammit..." ...Sometimes a haircut is a pop culture reference. But. Not in this context. With Tobias distancing himself more and more, MK3 was overall a jarring shift from psuedo-Asian mysticism influences to more Sci-Fi influences. I mean you had some Sci-Fi in MK1 with Kano being a partial cyborg (in the loosest scientific/philosophical definition of a cyborg). Now in 3, you have Full Conversion Cyborg Ninjas confirmed modeled after a combo of Predator and Storm Troopers to replace classic Ninjas. You have Jax and Kabal joining Kano in the partial Cyborg category (again most basic definition of cyborg but I remember that Kabal's design was confirmed as also strongly influenced by the nomadic Tusken Raiders from Star Wars). A random Riot Cop, lol. More modern-Western stages and designs. Still a lot of Asian mystic elements but definitely less than MK1-2.